As a hands-on caregiver, service provider, and administrator, Bruce Teague understands the importance of serving families holistically in crisis situations. His experience first began at age 13 as he cared for his widowed aunt, who was diagnosed with cancer, tending to her health and household needs. 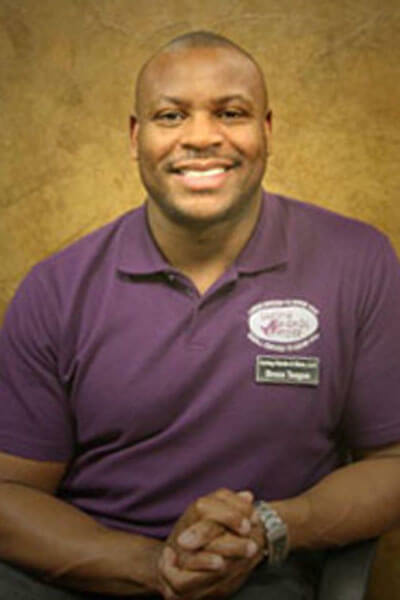 Bruce graduated from West High School in Iowa City, graduated with a bachelor’s degree in Psychology from the University of Iowa and a Certificate of Aging Studies in 2001, and obtained his RN degree from Kirkwood Community College in 2002. Inspired by working with his aunt, and later Iowa City Hospice, Bruce began Caring Hands and More, LLC in 2004. Education backed with years of providing family care, life lessons, uncompromising work ethics, strengthened by spiritual beliefs, makes Bruce a viable administrator for Caring Hands & More LLC. Bruce believes that maintaining these values and empowering each employee to adopt aspects of them, will inevitably cause caregivers and service providers to provide excellent care for clients and their families. Bruce is quite active in the Iowa City community and remains up-to-date on issues related to seniors and persons with disabilities through his active participation in several groups. He’s a member of several clubs including Rotary which is one of his most passionate.